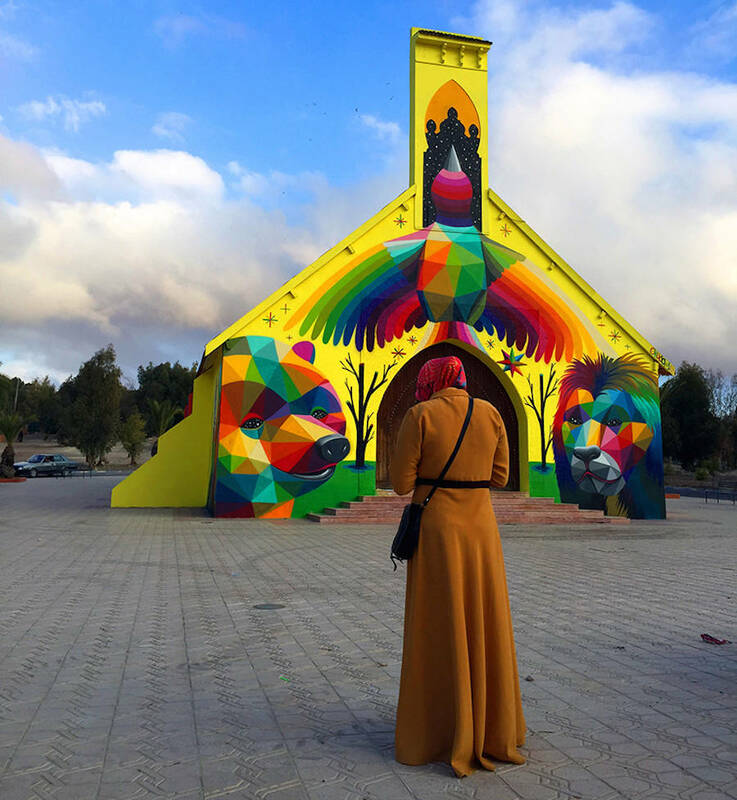 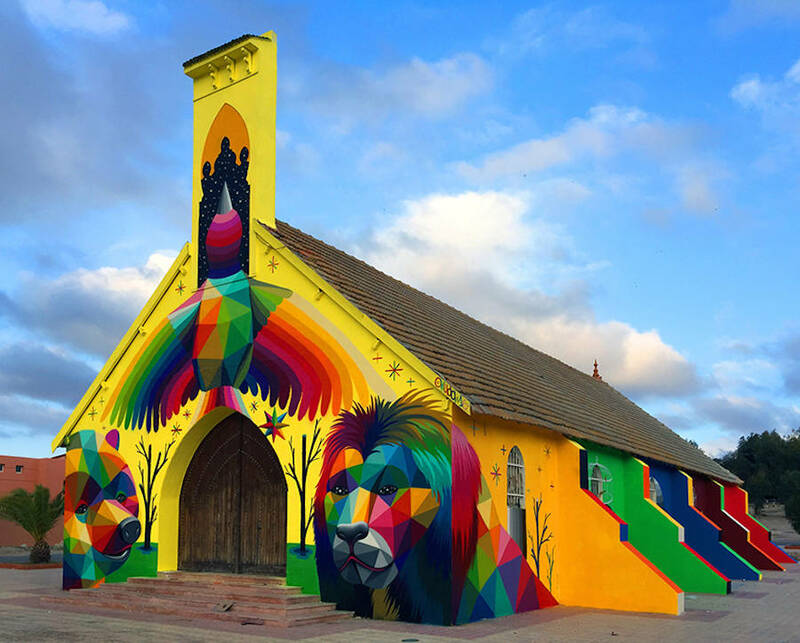 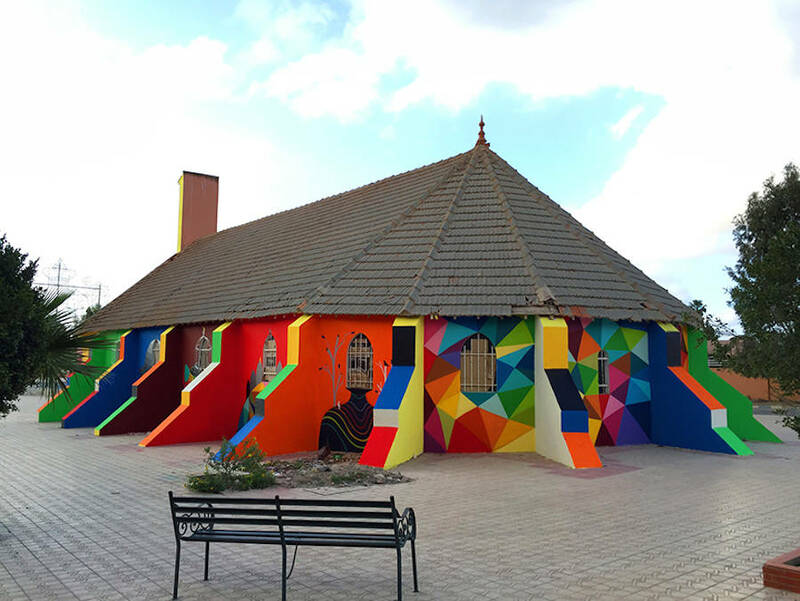 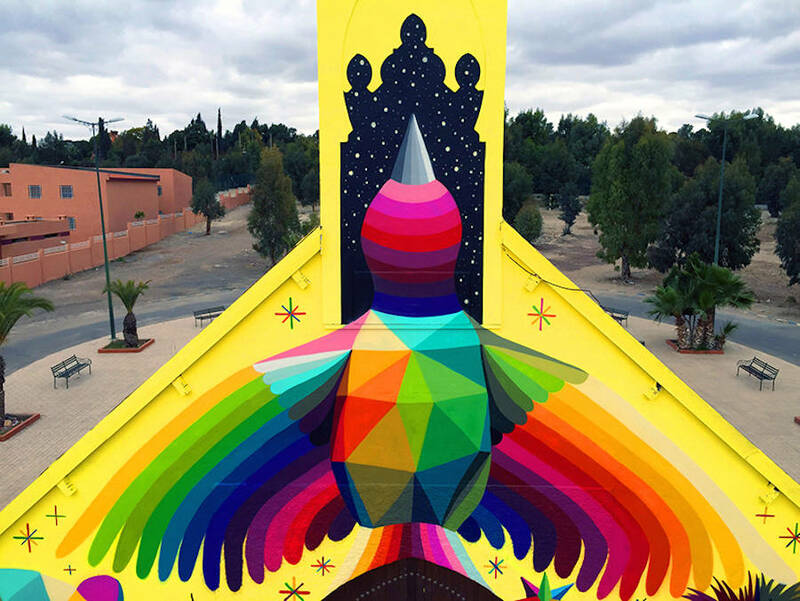 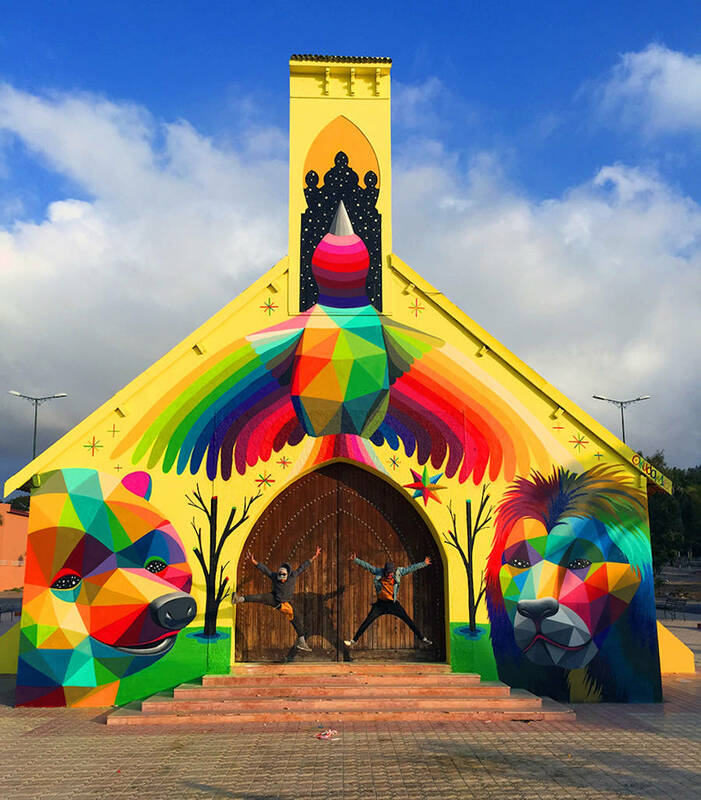 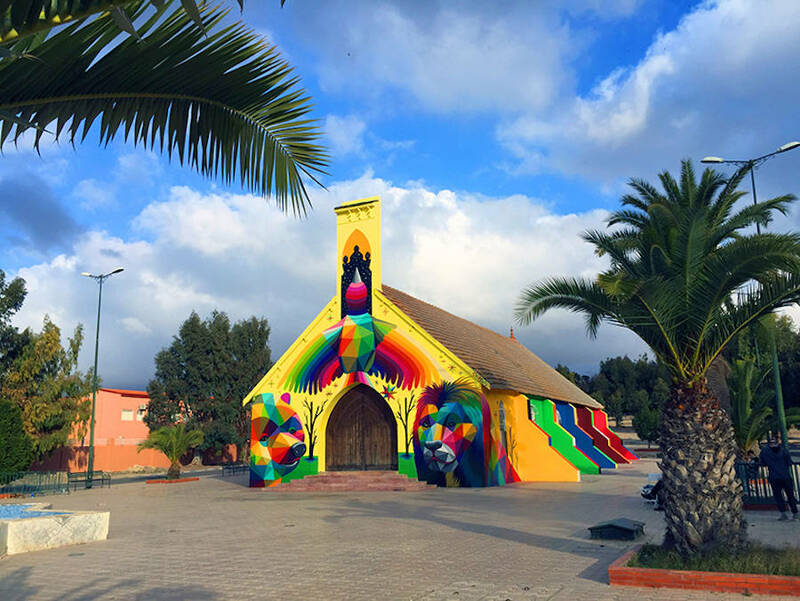 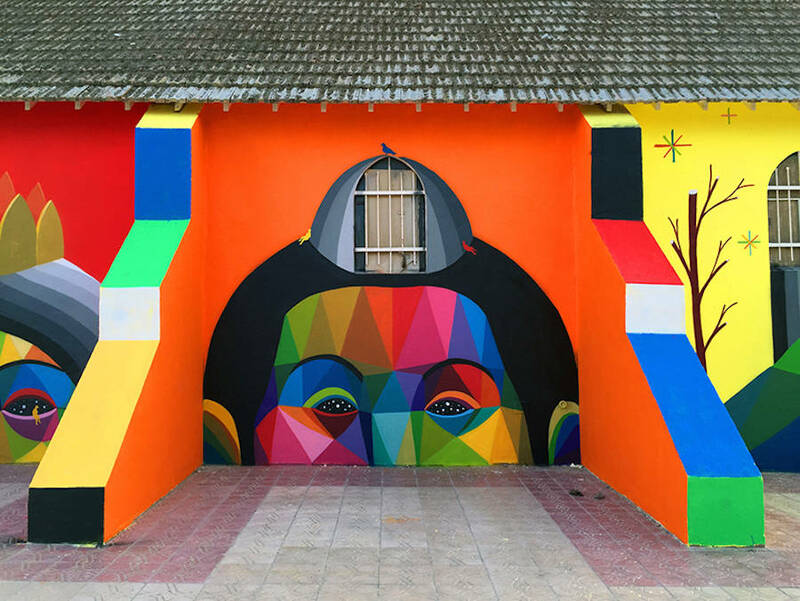 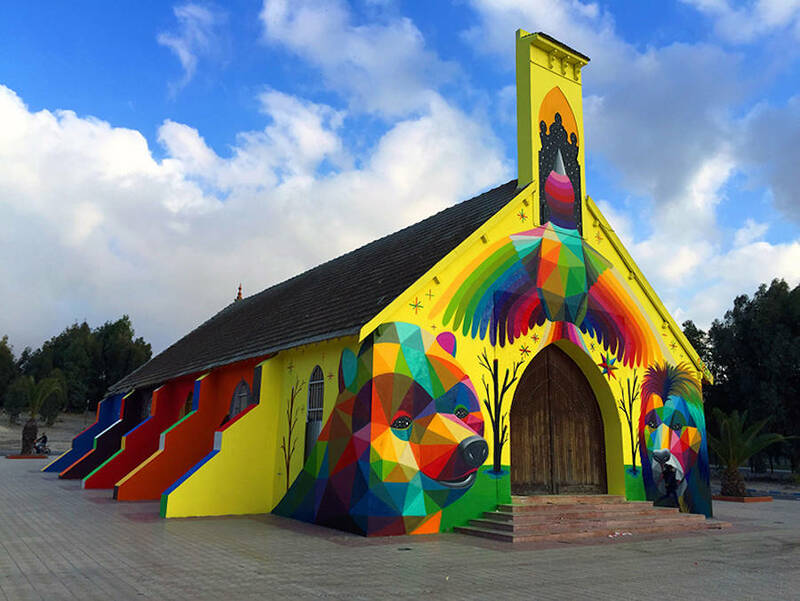 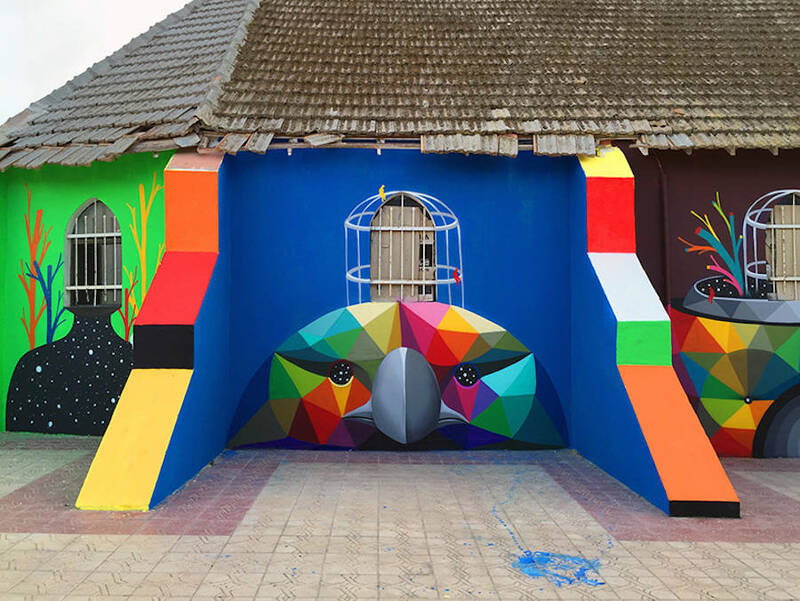 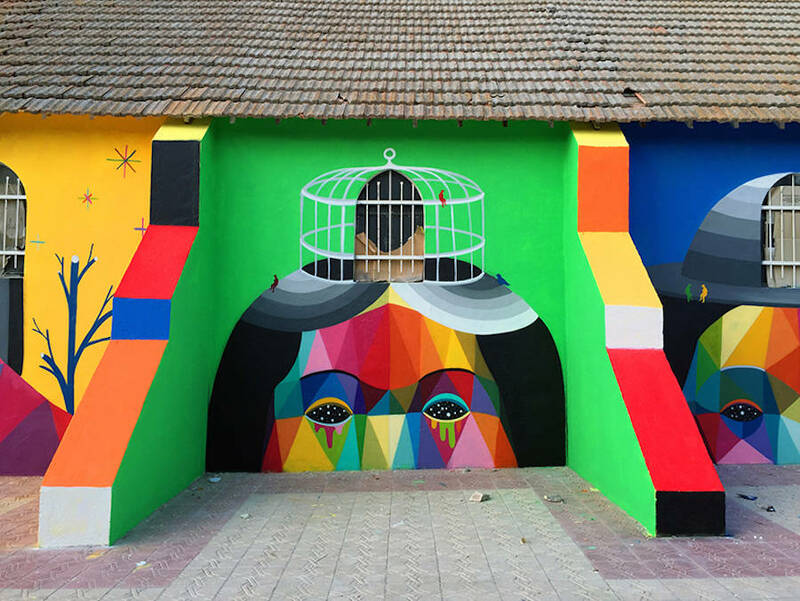 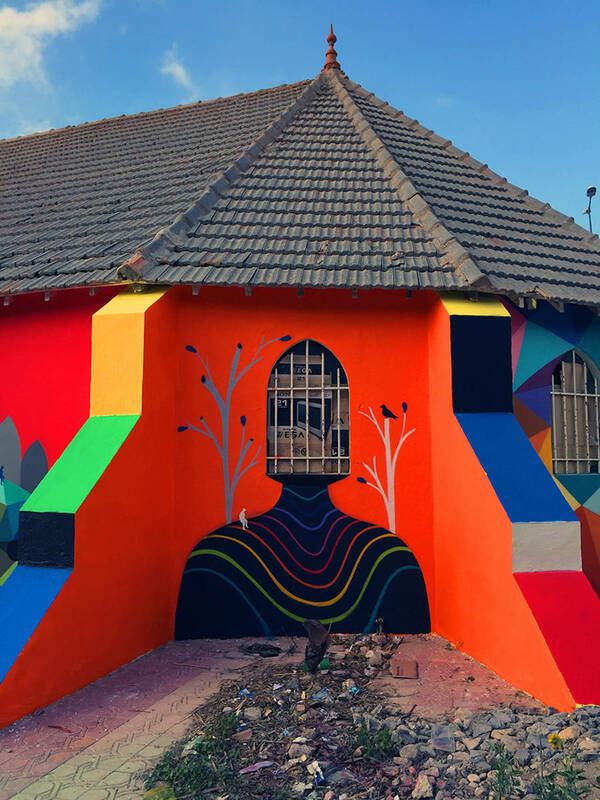 Spanish street-artist Okuda San Miguel gave life back to an abandoned church in Morocco, in the city of Youssoufia, through his latest project titled 11 Mirages to the Freedom. 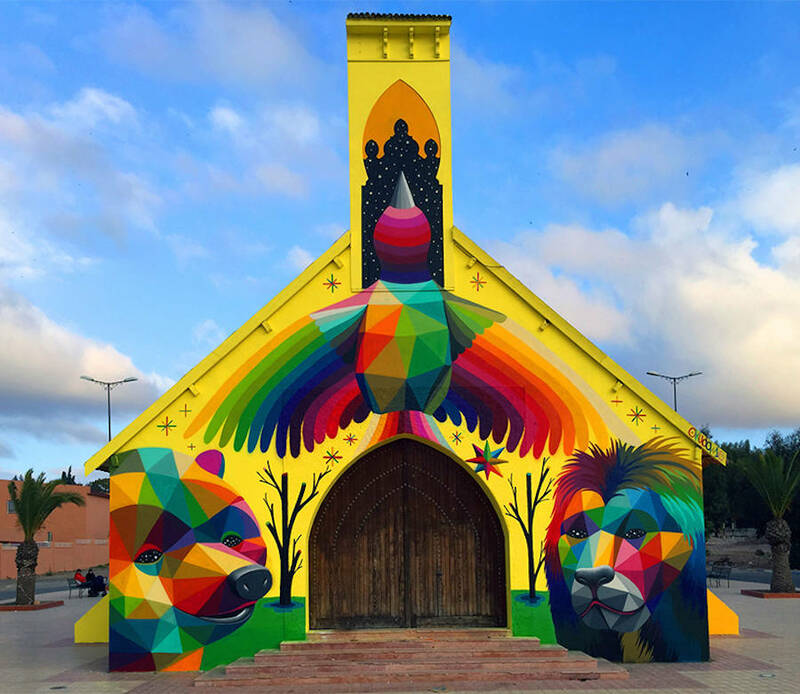 He covered the facade of colorful characters and animals of all kinds, featuring 11 faces with joyful vibes. 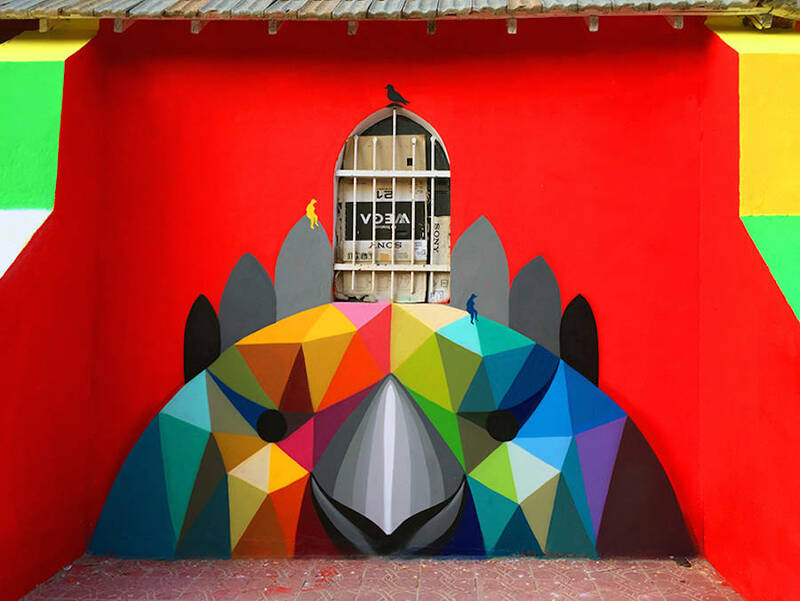 The windows were converted into crowns for birds and the bars in small birds cages.